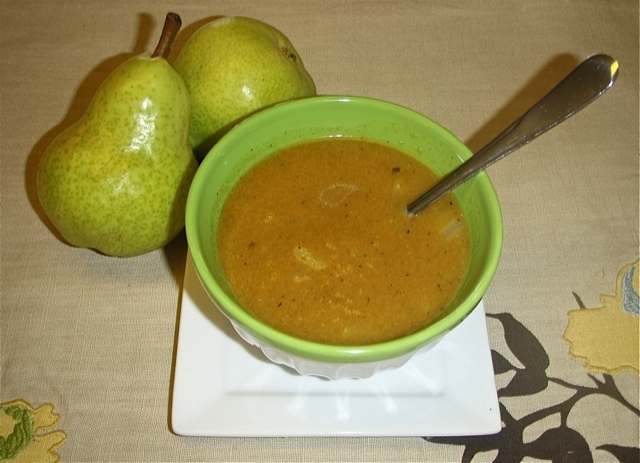 Pears and butternut squash, a tasty combination that makes this soup very flavorful, yet light and low point. At less than two points per serving, this guilt-free soup can be served before an entre' or as a main course. In a large sauce pan, boil butternut squash until tender. Drain and mash. Set aside. In a large Dutch oven, heat butter and saute pears and onions until tender, over medium-high heat. Add squash to Dutch oven and then the rest of the ingredients. Cook over medium heat for 15 to 20 minutes (or until pears and onions are very tender). Enjoy! If you'd like a printer-friendly version of this recipe, Click Here.